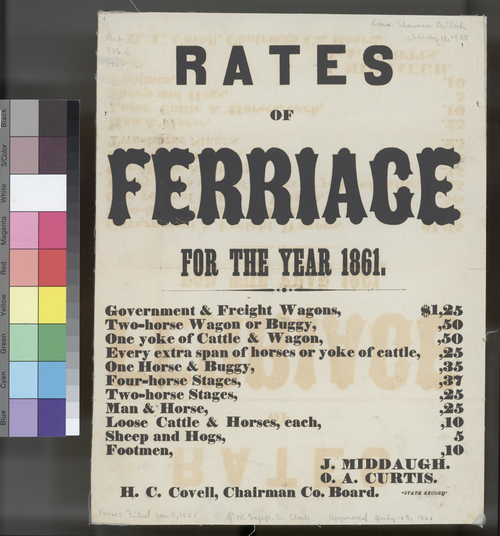 This rate schedule published rates for ferrying vehicles, animals, and people by a firm whose proprietors were, evidently, J. Middaugh and O. A. Curtis. The rate schedule was printed by the "State Record" and was, apparently, filed with H. C. Covell, chairman of a board in Shawnee County, Kansas Territory. People - Notable Kansans - Curtis, O. A.